Smartphones have become more powerful and do so much more than make a phone call or allow us to simply browse the internet. With so many apps and features available on phones like the Samsung Galaxy S8, we can truly use our phones to help us in so many aspects of life, including making living in a small space much less complicated. It has never been easier to simplify college living! We all know that long hours studying and eating like crap are all part of the college experience. But there is tech available to us today that can make life a bit easier, give us ways to unwind, and even help us be more productive. Streaming services like Apple Music and Spotify make it easy to create playlists for any activity such as exercising or studying. When you can download everything from textbooks to your favorite novel, you can lighten your backpacks on the way to class or find a great book to read when you want to take a break from facts and figures. 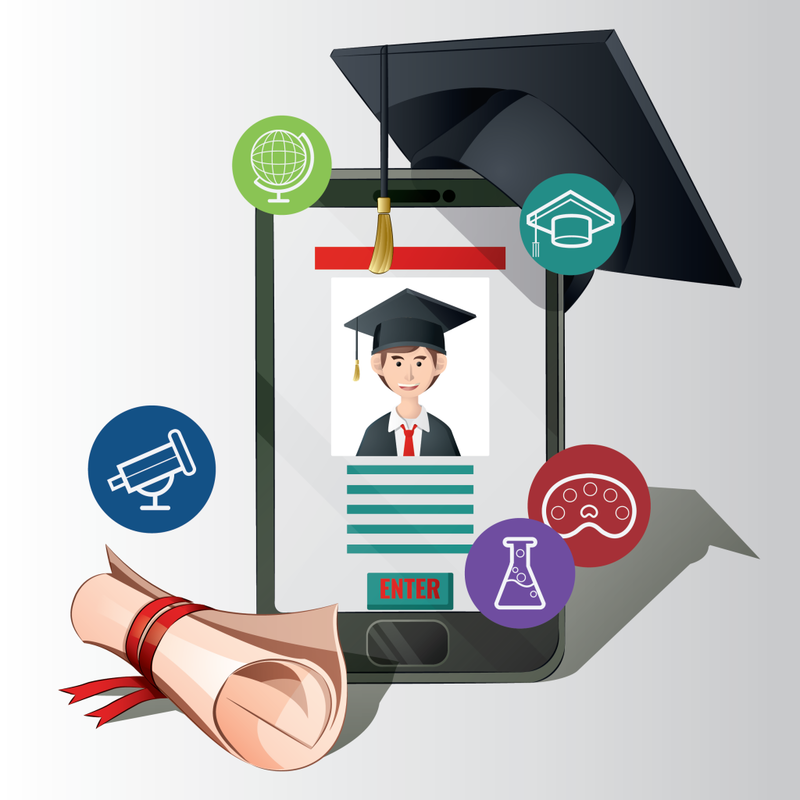 According to recent U.S. Cellular survey, 59 percent of smartphone users watch video using their devices; up from 48 percent just three years ago. College students can stream their favorite shows at a time that is convenient for them so they don’t have to disrupt their study schedule to ‘catch’ their favorite series. When you are looking to take a break, a simple round of Solitaire might do the trick! With so many game apps available, the hardest part might be deciding which one will be your go-to for getting your mind off the books when you need to unwind. Save space on a nightstand and wake up in time for those morning classes by using the alarm clock feature on a smartphone. But today’s tech does so much more than just wake you up. You can even track sleep quality and snoring through free apps like Sleep Cycle, which will analyze your sleep patterns and wake you at the perfect moment. ¹ Between Nov. 10-17, 2016, a total of 701 online interviews were conducted among a nationally representative sample by Consumer Insights, in partnership with Maritz CX. 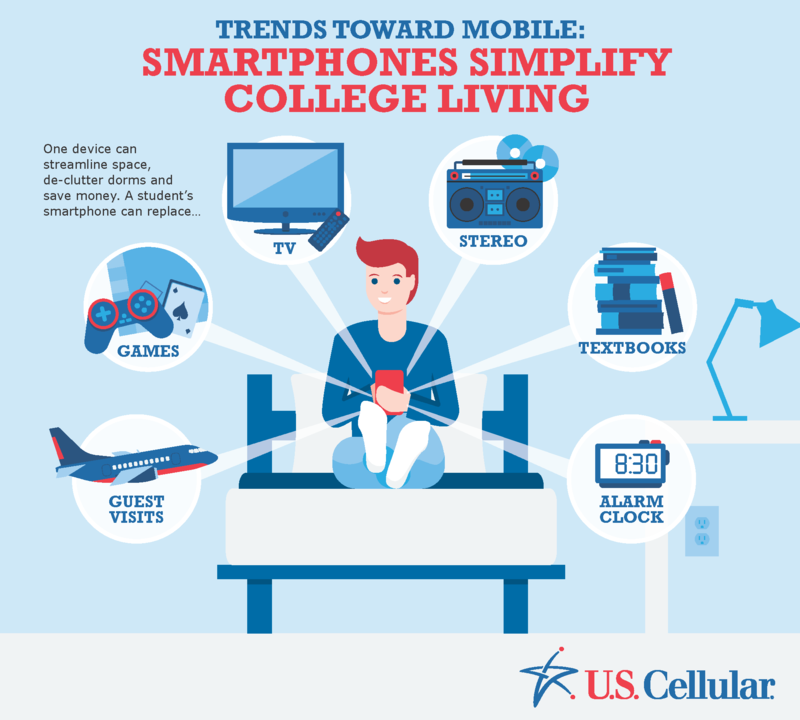 This post on how to simplify college living has been brought to you in partnership with U.S. Cellular. Do you have cellphone etiquette?